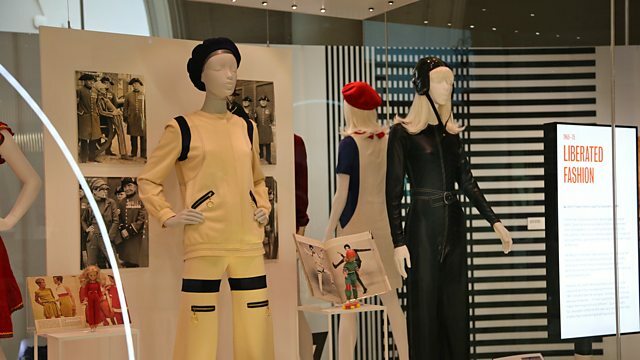 Celebrating the iconic designs of Mary Quant. What might be the impact on women of a no-deal Brexit? Nicole Taylor on her film, Wild Rose. Alys Conran's new novel, Dignity. Waterproof mascara, mini-skirts, vibrant tights and athleisure: Mary Quant is widely considered to be a pioneer in women’s fashion. A new exhibition at the Victoria and Albert Museum celebrates the work of the iconic fashion designer. Jane talks to co-curator Jenny Lister and Deborah Cherry - who donated a Mary Quant dress to the exhibition that she had worn when she was 16. Theresa May has asked the European Council for a further extension to the Article 50 period. On Wednesday EU leaders will meet to discuss her request, and if they say no, the UK will be leaving without a deal this Friday. So what would a no-deal Brexit mean for women? What will the economic impact be on women: the catastrophe that some fear or, the opportunity that others hope for? Dr Victoria Bateman and Victoria Hewson discuss. A young single mother from Glasgow just out of prison with dreams of making it as a country singer is the subject of a new film Wild Rose starring Jessie Buckley and Julie Walters. Jane is joined by the writer of the film, Nicole Taylor, who also wrote the award winning drama ‘Three Girls’ about the Rochdale grooming scandal. Alys Conran on her new novel, Dignity, which features a woman controlled by her husband in the British Raj, her daughter, whose life was shaped by the difficult relationship, and a young second generation immigrant who works as a carer. All three women are looking for a place to feel they belong.